Low modulus, waterproof, neutral cure with high movement accommodation. Bonds to many building substrates, suitable for interior and exterior applications. 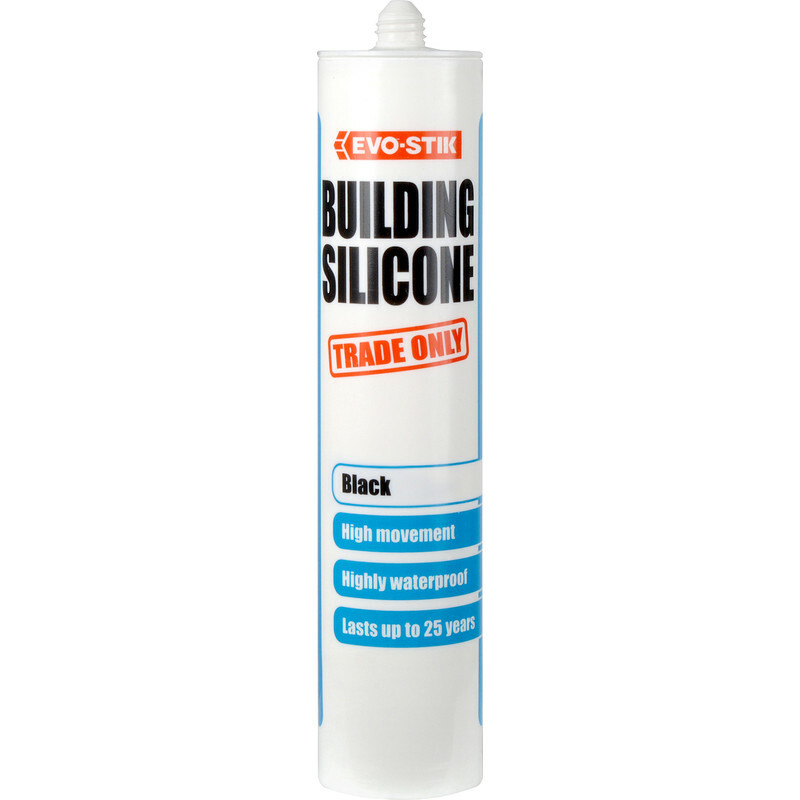 Evo-Stik Trade Building Silicone 280ml Black is rated 4.1 out of 5 by 15. Rated 5 out of 5 by Dketty from Good quality! Bought this for a roofing job to seal a termination bar to a brick upstand, worked a treat, looks good & performs well in the weather. Rated 5 out of 5 by Waterboy from Evo Stick quality! Never had aproblem with their products! Rated 1 out of 5 by abdul from Disappointing I am a professional kitchen fitter with over 20 years of experience. I sealed around the new kitchen lino two weeks ago and the sealant is not dried yet it's still soft to touch and sticky.Fotunately this was my kitchen. Had it been a customers I would have to do it all over again. I'll never ever use this product again. Rated 5 out of 5 by SteveB from Excellent. Brilliant stuff goes off in bad weather but still remains rubbery. Used to seal around a UPVC door and window in a wooden building. Rated 5 out of 5 by Skeptic from Great product. This is one of the easiest sealants that I have worked with. Did a great job. Rated 4 out of 5 by spicer from GREAT IT DID THE JOB WELL .AND IT IS HOLDING , VERY WELL . Rated 4 out of 5 by Von Ryan from Good value easy to use product. Nice product. Colour is medium to light grey. I have used this on the kitchen worktops recently so unable to review any long term results. Finish looks very good.